Clavering resident Peter Cooper has published a book describing a new long-distance route round the whole district. Named 'The Uttlesford Way', it covers 16 local villages in a series of circular walks. The route has been devised by Peter in such a way that each walk links up with the next one, so that ramblers can cover the entire Uttlesford Way over a period, if they wish. But they also stand alone as local circular routes between four and 12 miles in length. Clavering is one of the villages en route, the others are: Stansted Mountfitchet, Manuden, Rickling Green, Duddenhoe End, Strethall, Great Chesterford, Hadstock, Ashdon, Radwinter, Thaxted, Debden, Widdington, Henham, Broxted and Elsenham. The book includes over 50 photographs and information on history and wildlife seen en route. 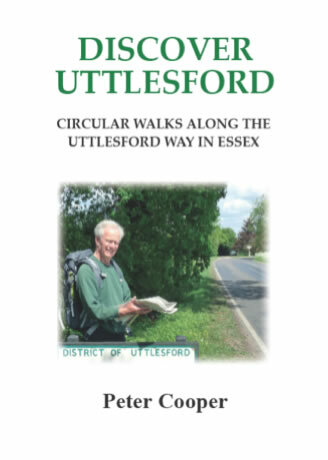 The Uttlesford Way will be introduced through a series of walks in the district, starting on 23 October 2011 at Debden, and running over the next year or so in different villages. Copies cost £7.50. Further information: email peterg.cooper@virgin.net .